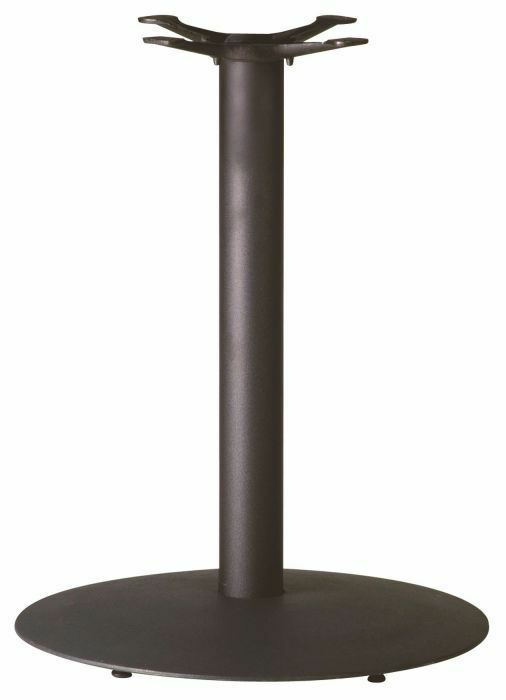 Cast iron table base for use with table tops up to a maximum size of 900m round or square and available from stock. Easy to assemble with optional installation service. Released from stock with a quick delivery. Heavy duty all black cast iron table base with a sturdy round base and black cast iron column. Held in stock for a quick delivery.